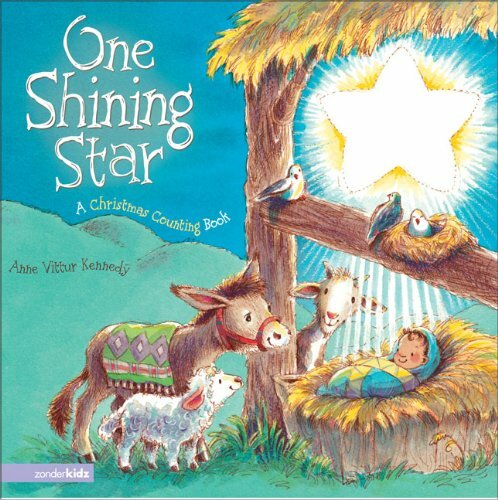 Give your child the magic of the season by having their own special Christmas Board Books they can carry around the house and enjoy at night. Let’s face it. Kids are tough on books! When my boys were toddlers, they adored their Christmas books. But it was hard to let them walk off with them or leave these books in their room because they would be ripped up within hours. The solution? 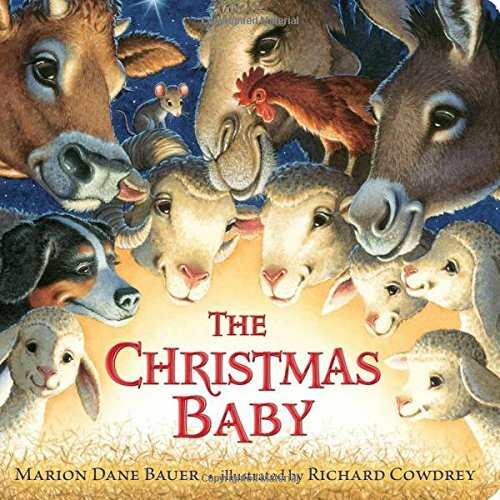 Christmas board books! I could leave a stack of these gems at night, allowing the boys to lull themselves to sleep with Christmas dreams. As with all of my children’s book lists, you can find these books at your local library or purchase through the affiliate links provided for your convenience. Little Blue Truck’s Christmas: It’s the most wonderful time of the year! Little Blue Truck is spreading cheer by delivering Christmas trees to his animal friends. Can you help count each green tree from one to five and back again? Don’t forget to save one for Blue! Beep! Beep! 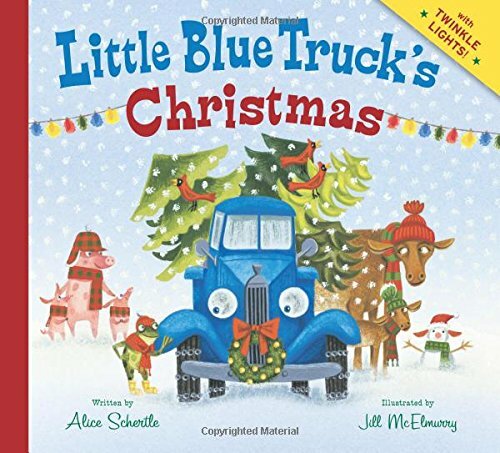 With the gentle rhythm and signature illustration style that made Little Blue Truck a household name, Blue’s new adventure is full of holiday warmth. Sturdy cardstock pages, a compact and child-friendly text, and flashing colored Christmas lights on the final page come together in a novelty gift book that’s sure to be the favorite treat of the season. 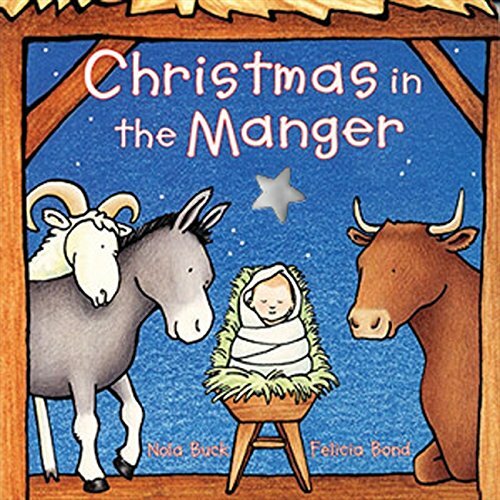 The Night Before Christmas: The Classic Edition: Wonderful new version of the classic poem every family should own. Lavishly illustrated by renowned artist Charles Santore, the critically acclaimed illustrator of The Wizard of Oz, Snow White, The Little Mermaid, and others. An oversized heirloom edition with a four-page gatefold. Includes embossed and foil cover. Snowmen at Christmas: It’s Christmas Eve and people are snug in their beds, but something is stirring outside. The snowmen are preparing to celebrate! Under the glow of moonlight, all the snow families are slipping away to gather in the town square for a night of caroling, dancing, and an exciting visit from the snowman Santa Claus. 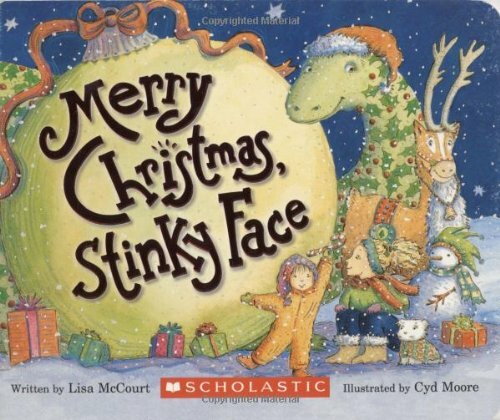 Merry Christmas, Stinky Face: “What if Santa’s lips get chapped?” Stinky Face asks. “What if the sack of toys starts to rip?” As always, Mama lovingly addresses each and every one of her child’s concerns. Of course, Stinky Face leaves Santa lip balm and duct tape . . . just in case. 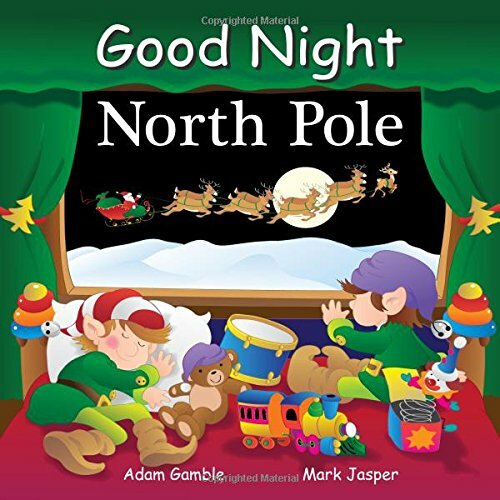 Good Night North Pole (Good Night Our World): Taking young readers on a visit to Santa’s village at the North Pole, where everyone is busily getting ready for Christmas Eve, this board book is a delightful celebration of the traditions and legends about Santa Claus. With rhythmic language and salutations that guide young children and their families through the passage of a single day. A Wish to Be A Christmas Tree: This charming tale of an overgrown pine always being passed by for Christmas, and what his woodland friends do to help him, is sure to become a Christmas classic. With delightful illustrations by wildlife artist Michael Monroe and enchanting text from Colleen Monroe, the birds, deer and squirrel of this story help make their special friend’s wish come true. Merry Christmas, Mouse! 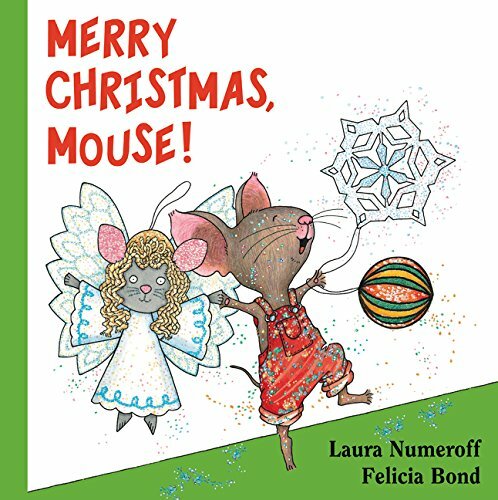 (If You Give…): Join Mouse from If You Give a Mouse a Cookie as he decorates his Christmas tree in a holiday counting adventure. I’m Not Santa! 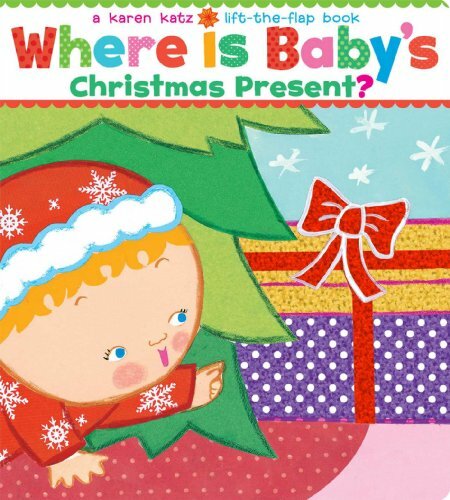 (Baby Owl): Baby Owl is back—bringing holiday joy to children! 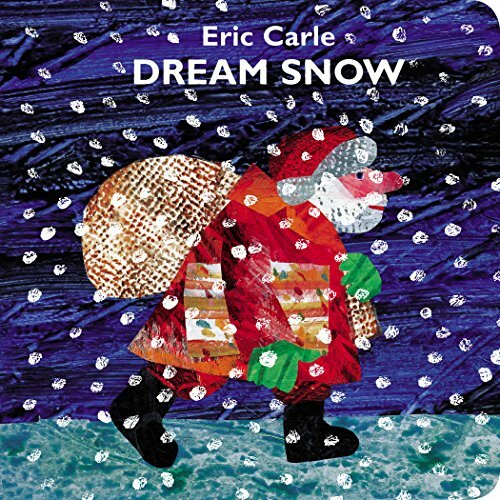 On Christmas Eve, Baby Hare spots Owl, dressed in his furry red cap and strolling though the snow with his sled. “Santa! It’s you!” he squeals in delight. “I’m not Santa!” Baby Owl insists. But Baby Hare doesn’t believe him. What will Little Owl do? 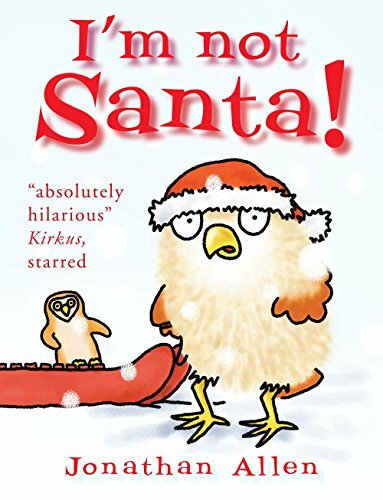 This funny, heartwarming tale has just the right touch of Christmas magic. Duck & Goose, It’s Time for Christmas! 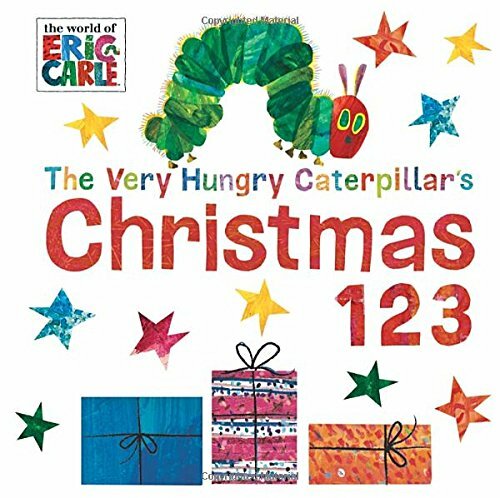 : New York Times bestselling author and illustrator Tad Hills brings our favorite feathered friends out to celebrate Christmas in this sturdy, large-sized board book. Goose wants to make snow angels and go sledding—but Duck knows it’s time for Christmas! 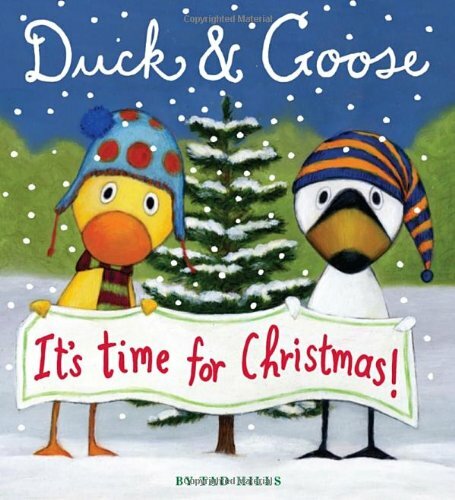 Preschoolers won’t be able to resist this latest board book featuring Duck & Goose, and loads of Christmas cheer. 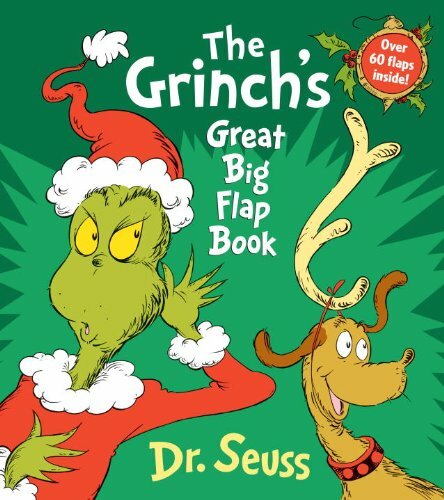 The Grinch’s Great Big Flap Book: A board-book version of Dr. Seuss’s How the Grinch Stole Christmas! 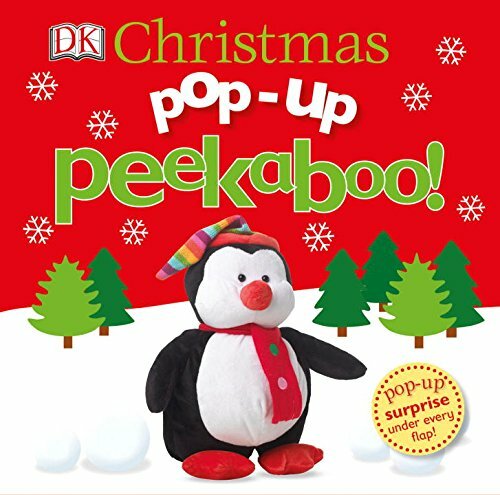 This super-simple, super-sturdy adaptation of the Good Doctor’s beloved holiday classic is perfect for his youngest fans. 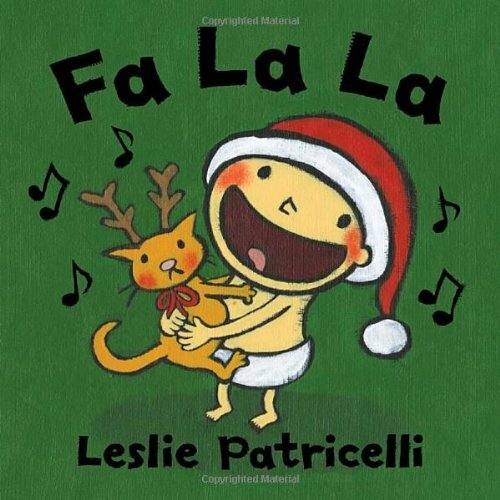 With a shortened rhymed text and over sixty Grinchy flaps for little fingers to lift, it’s an ideal introduction to the story and a perfect gift for toddlers and preschoolers. Now everyone in the family can have a merry Grinchmas! 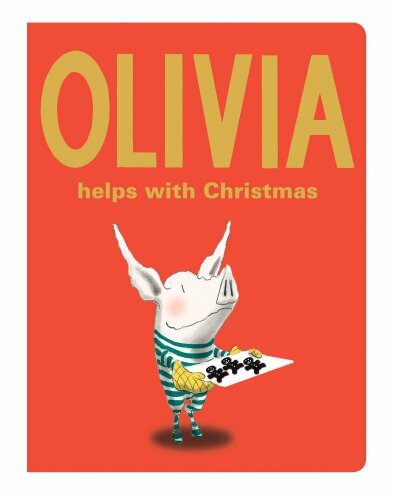 Olivia Helps with Christmas: Christmas is coming, and Olivia is incredibly busy. She has to wait for Santa, make sure Dad sets up the tree, watch Mom make the Christmas dinner, oversee the care with which the stockings are hung, and, of course, OPEN HER PRESENTS! Whew, being helpful during the holidays is exhausting! The Spirit of Christmas: Bells jingle, sleds dash through the snow, trees are topped with sparkling stars, and children everywhere dream of candy canes and presents. 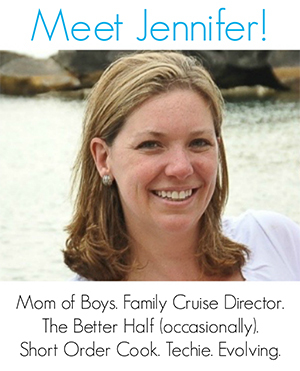 But the best gift of all-the most magical gift of the season-is when we spend Christmas with those we love. Once again, this New York Times-bestselling author and artist has created a special, beautiful book that families will want to share year after year. 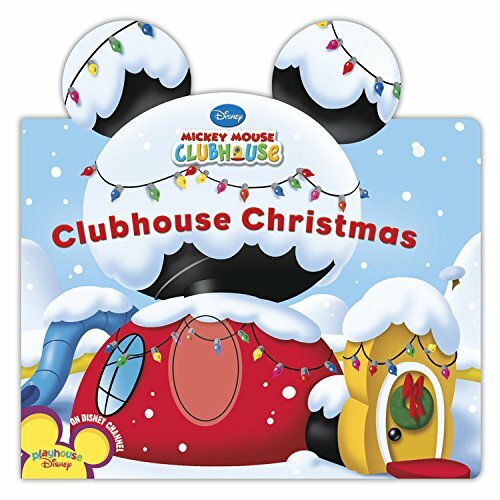 Clubhouse Christmas (Mickey Mouse Clubhouse): Ho, Ho, Ho! Merry Christmas! Join Mickey, Minnie, Goofy, Donald, Daisy, and Pluto as they deck the halls in preparation for their favorite holiday. The Clubhouse pals and Toodles need to make sure that each tree is trimmed, each sprig of mistletoe is hung, each twinkling light is just right before the big day arrives. With this new Clubhouse-shaped novelty format, preschoolers will have great fun joining in the countdown to Christmas. Is It Christmas Yet? : Christmas is coming, and Teddy is so excited! 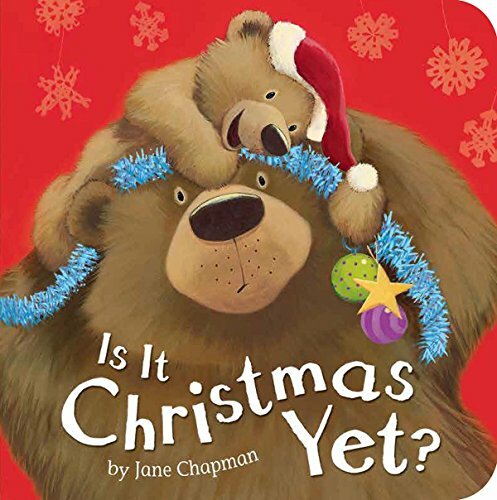 ‘Is it Christmas yet?’ he repeatedly asks Big Bear. Teddy wants to help Big Bear get ready, but every time he tries, he ends up making a mess — and making Big Bear angry! Will they ever be ready to have the perfect Christmas? 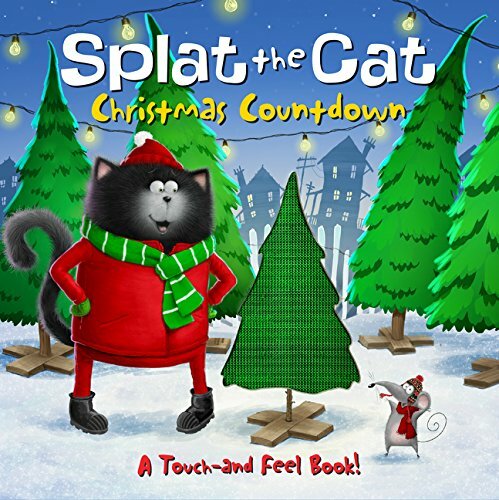 Splat the Cat: Christmas Countdown: Splat the Cat is so excited for Christmas! 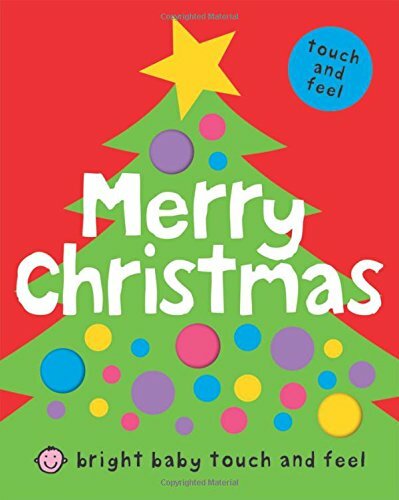 Join him and his family as they decorate their tree, wrap presents, and find out what makes a holiday extra warm and fuzzy in this special touch-and-feel book from New York Times bestselling author-artist Rob Scotton. 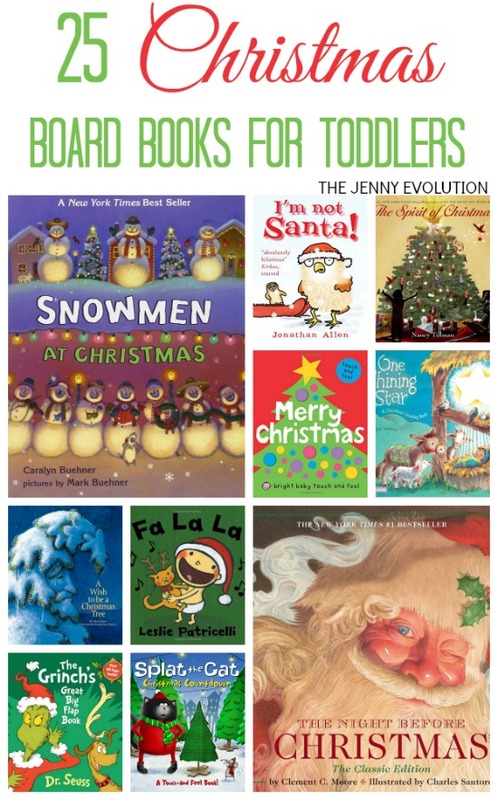 Like these Christmas board books? Find even more engaging book lists for kids with more than 100 book-themed reading lists! It’s annoying that your links open up to an add to cart button. I kind of want to look at the books first before adding them to my cart, obviously. But, I do love your list and it was extremely helpful. Glad you liked my list. You can always add them to your cart and go back to see the full description. It has more to do with how to get the book covers into the post than anything, which is why I include a good description of each book.